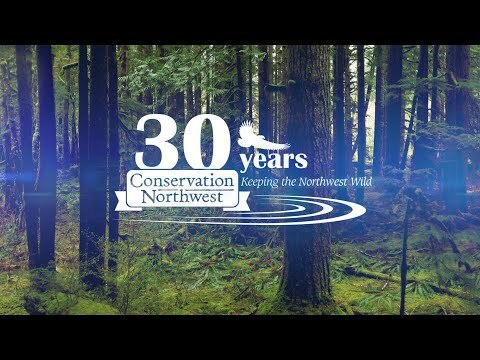 Keeping the Northwest Wild since 1989, we protect old-growth forests and other wildlands, connect large landscapes and vital habitats, and restore native wildlife. We recognize that for long-term progress, conservation must go hand-in-hand with healthy communities. We’re restoring wildlife, forests and wild places by working with diverse stakeholders. Through dialogue, we find common ground and collaborative solutions for challenging issues including wilderness conservation, endangered species recovery, and sustainable natural resource use across our region. Conservationists, farmers, Indigenous and First Nations peoples, hikers and climbers, hunters and anglers—we all share a love for wildness, wild animals and careful stewardship of the natural legacy we leave for generations to come. We know that by working together, we’re building a stronger, wilder future in the Pacific Northwest! Learn more about our organization, staff and mission on our About Us page. Or read about our Accomplishments in 2018! Want even more details? Download this description of our organization outlining work under our current 2017-2022 Strategic Plan, or view it as an online flipbook. Healthy forests, thriving grasslands and clean watersheds go hand-in-hand with healthy, prosperous communities and abundant wildlife. Animals need room to roam, and habitat connectivity becomes even more important in the face of habitat loss and climate change. Diverse animal species make our region rich and vibrant. And thriving wildlife populations signal healthy forests and watersheds.